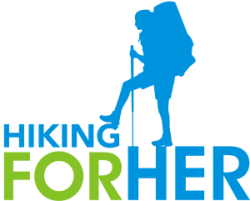 Here's what you're looking for: useful tips on how to purchase a womens backpack for hiking. Hiking backpacks can be a real pain to shop for. There are an overwhelming array of options, brands, sizes, and styles. If you don't know exactly what to look for, you can end up with the wrong pack. That translates into sore shoulders, skin rubbed raw, painful lower back, and more. Our species has two genders, and those genders have anatomical differences. Which makes one style of backpack for every hiker a ludicrous idea. Luckily, many hiking gear companies have caught on to why backpacks designed for women are essential. We're not just smaller versions of men! Our breast tissue hates to be compressed by tight straps. Our legs & knees bear weight differently. Our shoulders are more narrow. Torso length is highly variable. Women look for thoughtful little features like a lip balm pouch on a fully padded, highly adjustable backpack hip belt. And we're picky about colors (how many day glow hunter orange packs have you seen lately on women hikers??). Having said all that, I'm going to take some of it back: a non-curvy, broad shouldered woman may find that men's packs fit best. So will other females whose anatomical curvature just happens to fit a particular manufacturer's specifications. So don't be adamant on finding a woman's backpack - fit will dictate everything. Stay open to trying on MANY backpacks until that magical moment when you say "Ah, this is the one." Note to self: Color is not a feature!! Don't fall in love with a pack because it's a pretty hue unless it ALSO has every single feature you need. Although if you reject a great pack because it's just not your color, I understand. Which of these describe the type of backpack you might be looking for? If you're shopping for one particular type of hiking backpack, don't waste time with the other types of packs. Give up the idea that there is one general purpose hiking backpack that will take you on day hikes, backpacking, and rugged backcountry adventures. A woman hiker's gear locker soon fills up with backpacks if the hiking habit becomes stronger. So which pack are you interested in shopping for right now? Focus your attention on the options within that category as you go through the rest of the "how to buy" tips. If you've already decided that backpacking is your challenge, read up on how to choose a womens backpacking pack. Keep in mind that you may have to try on a lot of packs. OK, to be brutally honest, you SHOULD and MUST do that (it's that important). But before you get near any packs, figure out exactly what kind of hiking pack you need. A few hints on how to pick the best backpack for hiking will get you rolling. How much carrying capacity ("how big") do you need? Depends upon your hiking plans, right? 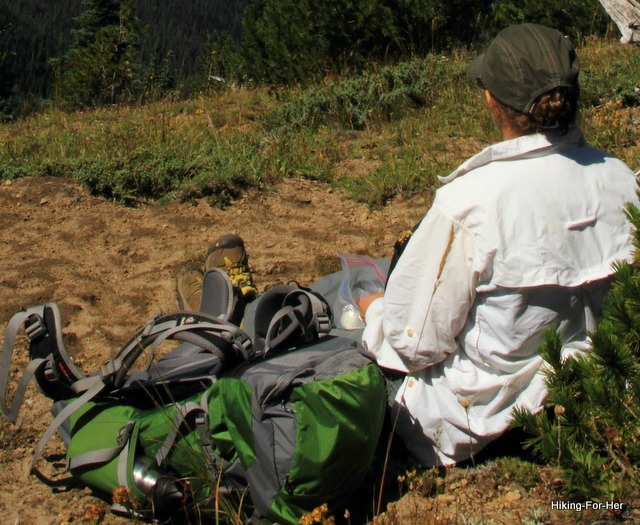 If you're planning a multi-day backpacking trip, your pack needs are large. Or maybe you just need a generously proportioned daypack. Some of them can be cinched down for smaller loads but will expand to handle bigger ones. with capacities of pounds or kilograms. Be prepared to look at all of the numbers on the tags. Tip: Numbers make you cross eyed? When you hit your favorite gear store, just ask the sales staff to show you the small/medium/large capacity packs which fit your frame and hiking situation. Here's where it pays to use a store with educated, experienced staff who will lead you right over to the packs for your plans. How much does the empty pack weigh? You shouldn't go above 2 or 2.5 pounds empty for a day pack, but will probably need to go a bit higher for longer trips in rugged terrain. There's ultralight gear you can consider, but be prepared to pay extra for a pack that weighs less (ironic, isn't it?). Ah, now we're getting down to the tug of war between wants and needs. What you want to buy might not match with the amount you have in your budget for that particular piece of hiking gear. Are you taking advantage of rebates, discounts, sales, membership pricing? But a word of counsel: Some gear is worth the extra money, and some isn't. Read my tips on this website, consider my gear reviews, and don't be shy about sending me your questions so you will get a good deal on worthy hiking equipment. See that blue TOP button over on the right? Use it to get to the website search box. Do a bit of background research and if you're partial to certain brands with good reputations in the outdoor community, call ahead and make sure those are in stock. And do those brands carry gear specifically designed for women? You want to try one lots of women's backpacks, not generic ones. Unless you can't find one that fits. Then fall back on trying on the men's versions of the brands you gravitate toward. And if you're a small woman, a large kid's pack might fit your shorter torso (and some of them adjust nicely). You're going for fit at a great price, and who cares if it's a backpack labeled for someone other than your gender or size? Every hiker has a unique constellation of trail preferences, and you're no different. So not every hiking pack will be able to satisfy you. If you use a hydration system, you'll need a hydration pack built to accommodate it, with a hydration sleeve or appropriately sized hydration compatible features. Maybe you need more than one internal compartment (probably not in a day pack, but a reasonable need for backpacking). Or you prefer two roomy side mesh pockets for water bottles. Perhaps you want to lash gear such as trekking poles, sleeping bags, crampons or an ice axe to the outside of the pack - you'll need to consider attachment options. Does the pack come with a rain cover? Here in the Pacific Northwest, I consider that an essential piece of gear. But you might never need it. If you're bony in the shoulder area, well padded shoulder straps are a necessity, not an option. This may sound picky, but if you're frustrated every time you try to get something out of your pack, it will erode your enjoyment of hiking. Then you'll have to go into Backpack Avoidance therapy. So make a quick list of options you know you'll want to use, and then keep track on your hikes (use your hiking journal) of what your ideal backpack looks like for the next time you go pack shopping. Be sure to load up the pack with some weight before you put it on. It's a fast way to find out the pack isn't for you. REI stores (a gear co-operative) have an assortment of bean bags for this purpose, but other stores might let you put heavy items into the pack and walk around for awhile. Small children and kittens also work well in a pinch. You should take many, many steps and bend over in the loaded pack (the "tie your shoe lace" motion) several times. Try to simulate trail conditions as much as possible. Again, REI stores have an area in the store with uneven terrain and steps so you can get a feel for whether or not you and the pack have become one. Be sure you go up AND down these inclined planes. Or perhaps there are stairs somewhere in the store that you could use for this purpose. For more tips on how to choose a suitable pack, read the wisdom of REI. Now that you have some familiarity with how backpacks are made and marketed, let's turn to getting the best fit possible in your quest for the perfect hiking backpack. Making a spreadsheet of the questions, great idea! Go old school and record your answers with a pen (gasp!) as you try on various packs. Plus, after a few packs you won't remember the details unless you're recording your impressions. Does this pack conform snugly to my back? If NO, ask the sales clerk or your shopping buddy to help you adjust the straps. If no help is available but you spot a full length mirror in the pack department (a sign of a good gear store), keep the pack on and experiment with strap adjustments. Work on one side until it feels good, and then tackle the other side. Surprisingly, they may not match. When I start walking in the pack, does the hip belt gouge me or put pressure on my rib cage? If YES, play with the straps until you get a more reasonable fit. Make sure there's enough padding between your bones and the adjusting clips. If you can't get the belt to sit more comfortably, try a different pack with a more narrow or adjustable belt. As I'm walking, do the muscles in my neck feel strained or pulled? If YES, did you snap together the sternum (chest) strap? There are strap adjustments you should try before you discard the pack entirely. If the pack doesn't have one of these straps, I'd pass it up. Neck strain leads to head aches, sore shoulders, back misalignment, and potential knee problems. And it's tough to make good trail decisions when you are in pain. When I swing my arms (like I would when I use hiking poles) do I hit the sides of the pack? If YES, the pack is too wide for you. Look for a smaller pack with a more narrow profile. If NO, the width is suitable. Not sure you should be using trekking poles? Read this. When I bend over (simulating the action of tying a boot or picking up a water bottle), does the top of the pack hit me in the back of the head? If YES, how annoying! Did you tighten down the straps that hold the top compartment in place? Or is this pack just too big? If NO, check to see if it will accommodate a broad brimmed hiking hat or your unique ponytail or hair style - another source of "bumping" annoyance. When I slide a hand up under one of the shoulder straps, can I close my hand comfortably around it? If NO, the straps are too wide and will probably dig into your breasts or create hot spots from chafing in your axillary area (armpits). If YES, is it too gap-y? Maybe a strap adjustment can make it perfect. It's worth a try. If NO: No big deal if you're only using it strictly for winter hiking, but in general, look for a pack built to let your body heat escape. There are various well-hyped ventilation "systems" for this, with names specific to each brand. You'll get to know them quickly. Don't be swept up in the marketing buzz words, just use common sense and look to see if the pack directly contacts your soon to be sweaty back. Built in room (airflow allowances) with mesh back panels is the best way to go for three season hiking. Do I understand what all of the straps are for? Do I even need all of the features? If UNSURE, take off the pack and sit down next to it. Play with all the zippers, straps, buckles, and doo-dads until you are comfortable with the design of the pack. This will help you make reasonable adjustments once you put it on again, too. Once you know a load lifter from a sternum strap from a compression strap, put the pack back on and begin to make adjustments. Be clear about your hydration choices, and choose the pack that works best for you. If NO and you feel irritated by the question, this pack has too many adjustment features for you. Go down one model (watch the price drop, too). Does this pack make me look fat? Don't fret if Round One of gear shopping hasn't gone well. You know a whole lot more right now than you did before. The perfect pack is now closer to reality. You just have to explore a wider range of brands. And write down your observations and notes on the packs you didn't like (use your spreadsheet or trail journal). All of this attention to detail will be so worth it once you hit the trail in comfort. Consider finding the right pack every bit as important as finding the right mate, and devote the same amount of brain power and time to the job. If you think I'm overstating my case, we should talk (either about finding a mate or a pack, I'm game for either one). Bring snacks to keep your blood sugar high enough to cope with all of the fiddling involved in pack adjustments. Wear a sports bra and whatever type of hiking clothing you expect to wear on the trail. Pin up your hair or wear your hiking cap or hat so it won't get in the way. Figure out your torso length before you go, to determine if you need a small, medium or large pack. Watch this video for how to measure it. Don't feel that you have to "settle" for a "good enough" pack just to get it over with. Leave the store, or the website, and return when you're feeling more energetic. Consider this your quest to find THE pack, and devote as much time as necessary to finding it. Not be a buzz kill, but don't wait until the day before you leave for the trail head to find your perfect backpack. Give yourself a long lead time, if you want to be comfortable on the trail. Ready to be even more purposeful in your search for the right pack? Hurrah! 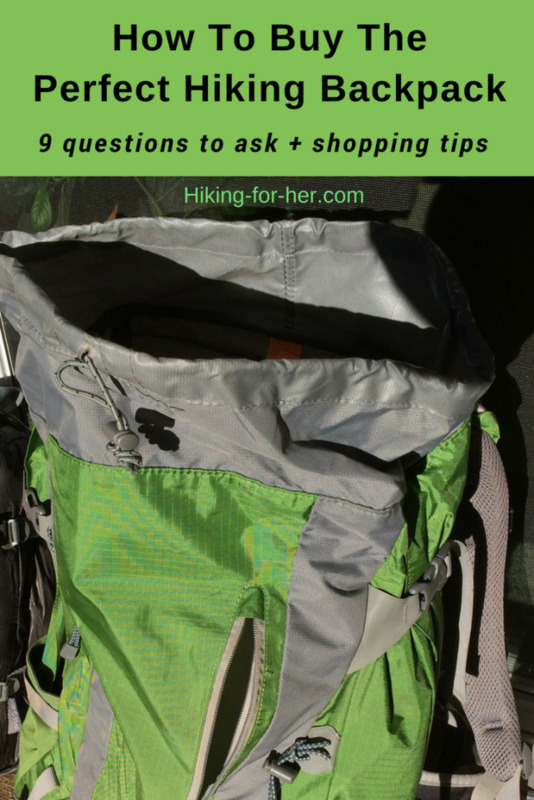 For a complete Hiking For Her overview of backpacks, check out Backpacks 101. "When is a backpack more than just a pack?" When it's a cherished memento. It was a hideous neon orange color (designed for deer hunters, probably). It had an external aluminum frame with huge metal pins, one giant cavernous internal space, and several external pockets with heavy metal zippers. The straps were canvas, poorly padded and sewn onto the pack with black thread. My parents bought it at a gas station in town (we call them convenience marts now) in 1971 just before I went on my first backpacking trip. I thought it was the most beautiful thing I had ever seen. As a young teenager, I learned to backpack wearing that clumsy, over sized pack. Somewhere along the way, over many household moves, I lost the pack. I'm still sad about that. It would be fun to wear that pack one more time. At least I have one picture of my youthful self in it (me on the left), looking a bit overwhelmed by the bulk of the pack. to find the perfect pack? If you need more gear shopping suggestions, send me your question(s). I hope you believe it when I insist that it really is worth the time investment to get a properly fitted pack that will add enjoyment, not agony, to your trail time. P.S. Carrying the ten hiking essentials inside your pack makes it even more perfect.